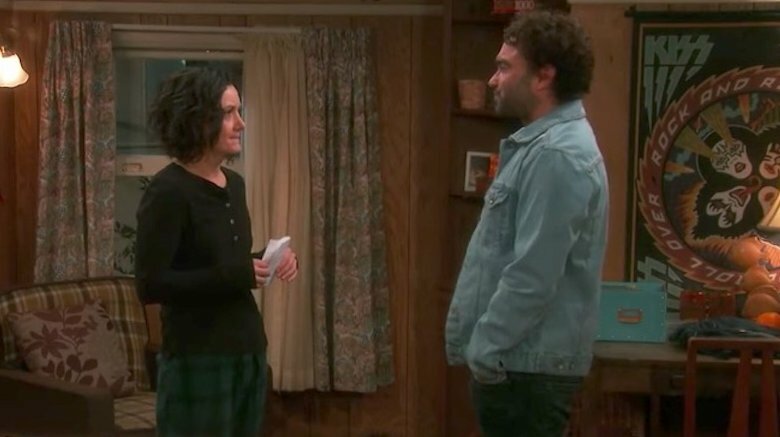 What's going on between Darlene and David in the new season of Roseanne? After a more than 20-year hiatus, Roseanne returned to our television screens in March 2018. 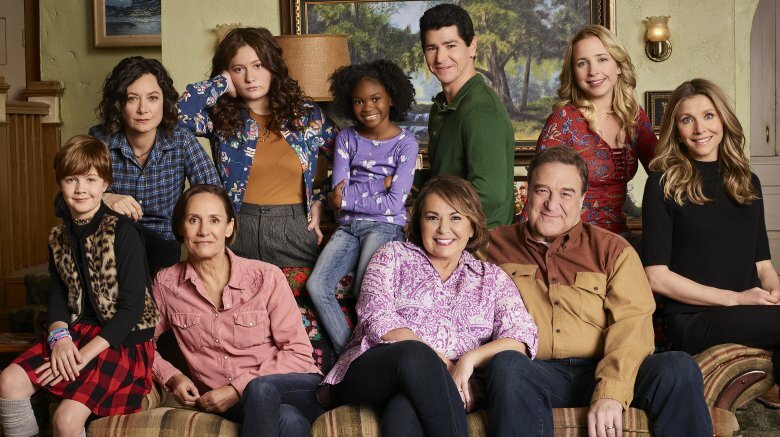 While we were ecstatic to see the entire Conner family back together again — including matriarch Roseanne (Roseanne Barr), father Dan (John Goodman), and Aunt Jackie (Laurie Metcalf) — many viewers were more fixated on the love story of Darlene (Sara Gilbert) and David (Johnny Galecki). 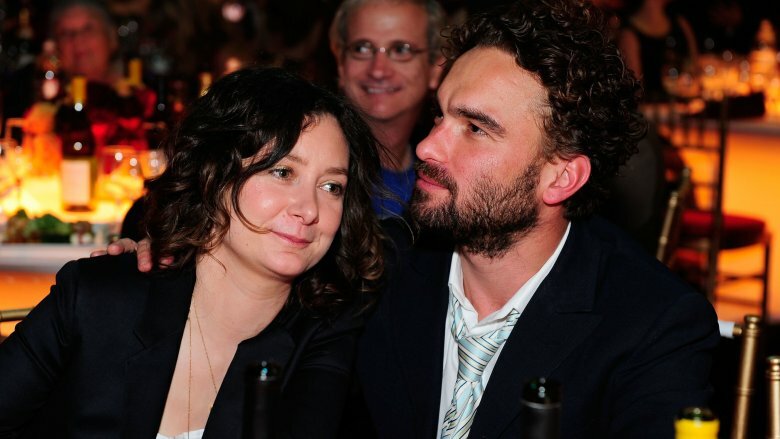 After the Season 9 finale aired in 1997, viewers were stunned when Roseanne revealed that Darlene and David's Season 8 wedding was just a figment of her imagination, and that Darlene was actually married to David's brother, Mark, while her sister Becky was dating David. But when the reboot debuted, viewers breathed a sigh of relief when the show's creator's ditched the relationship switcheroos and reunited Darlene with her true love. As gleefully delighted as we were to learn that Darlene and David's marriage was still chugging along, the revival dropped a bombshell that things were far from picture-perfect for the couple. So what's really going on between Darlene and David in the new season of Roseanne? Let's discuss. When viewers first met David Healy, he was actually introduced as Kevin, but that's a story for another day. He was the brother of Mark — Becky's gritty and rough-around-the-edges boyfriend. David was portrayed as the antithesis of his brother — he was sweet, caring, and had the patience of a saint. Darlene definitely wore the pants in their relationship, thanks to the headstrong and domineering personality she likely acquired from Roseanne. But despite being completely different from one another, Darlene and David's differences showed that opposites really can attract. After a few ups and downs in their relationship, including some tough breakups, the couple reconnected and Darlene became pregnant with their daughter, Harris. They decided to solidify their relationship by getting married in a beautiful outdoor wedding ceremony that took place in Season 8. The day went off without a hitch — oh, except for Dan keeling over from an apparent heart attack. Episode 1 of the Roseanne revival attempts to tie up the loose ends from Season 9 and reintroduce the cast to diehard fans and new viewers. It doesn't take long to realize that the couple — with two beautiful heads of perfectly untamed hair, might we add — is officially on the outs. Darlene and her two kids move back into her parents' home under the guise that she's there to lend a helping hand, but Roseanne discovers the truth after checking the mail. "Your severance check got forwarded here. You lost your job, right?" Roseanne asks. Darlene is forced to admit she's unemployed and also divulges some insight about her relationship status. "I got two kids, I've got no partner, so I just came home," she says. What we love about Roseanne is that it discusses real-life problems that many people can relate to. But Darlene and David's broken marriage is something we're having a hard time with and, sadly, there's a strong possibility a reconciliation won't be happening in Season 10. We'll get to that in a bit. Darlene is going through some major turmoil as the cracks in her marriage begin to show, and it doesn't help that David is still reeling from the death of his brother Mark – played by actor Glenn Quinn who died from a possible drug overdose in 2002. This sounds like a ton of emotional baggage for a couple who was once insanely in love with each other, right? Well, as it turns out, Darlene and David's marriage is even more jacked up than we could've ever imagined. During a March 2018 interview with The Hollywood Reporter, the program's showrunner, Bruce Helford, said, "Darlene and David have been separated for six years or so." Um, excuse us. Did you say six years?! Is David an absentee father? 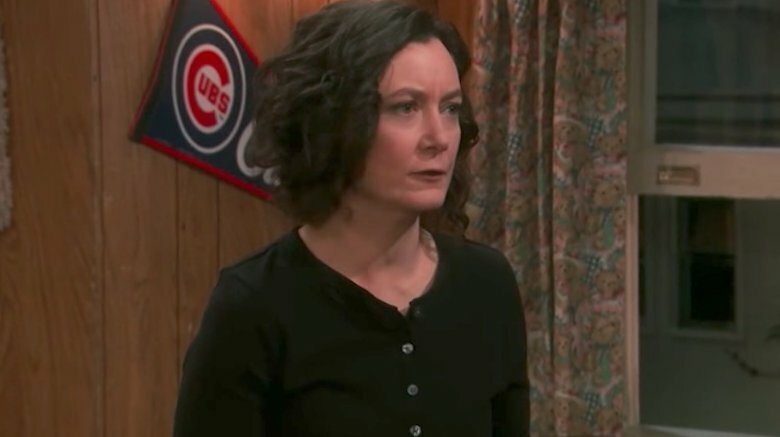 Darlene gives birth to their daughter, Harris, in Season 9, and during the time the Conners were away from the camera lens, the couple had another child, Mark, who was named after David's late brother. Naturally, this leads to questions about David's relationship with his children. Showrunner Bruce Helford told The Hollywood Reporter, "[David] has only seen the kids a few times when they were living in Chicago… David comes back into that mix and raises a lot of emotional issues for all of them." So what the heck has David been up to? Viewers will be left in the dark until the April 17, 2018 episode. "David unexpectedly shows up for Harris' birthday after being absent for years, forcing Darlene to re-examine their relationship and the rest of the family," an ABC show synopsis reads (via UPI). Those who hope his appearance will lead to a reconciliation shouldn't hold their breaths. 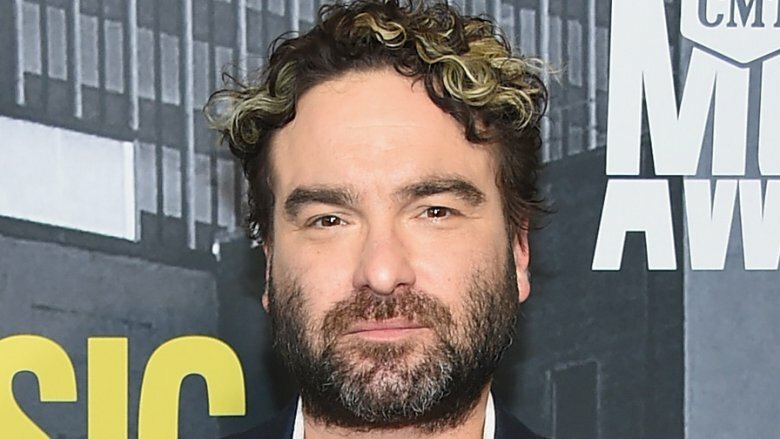 Galecki had prior commitments on CBS's The Big Bang Theory, so he was only able to film one episode for the Roseanne reboot. And considering what we know about the state of David and Darlene's marriage, it's going to take more than one 30-minute episode for them to repair their union. 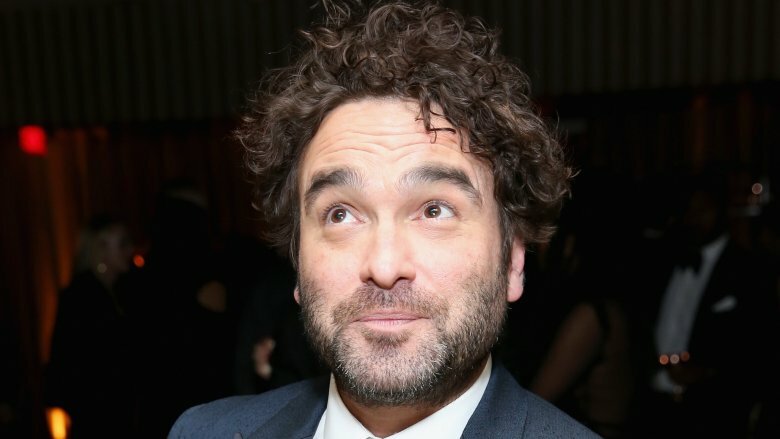 Season 12 of The Big Bang Theory may be its last, and since Roseanne was renewed for its own Season 11, this potentially frees up Galecki to reprise his role and right his wrongs, which is something he'd be up for, he told Deadline. One surprising twist in the iconic series is David and Darlene's child, Mark (Ames McNamara), who identifies as "gender creative." "Here's the thing, you are weird. I'm weird, this whole family's really weird," Darlene tells Mark. "So you just got to hang in there until people figure out that weird is cool." Mark's character isn't without controversy, though. The child has received mixed reactions from the rest of the Conner household and with some viewers who've bashed the character's feminine attire and jewelry. "Mark's just a normal kid," McNamara told Good Morning America. "He likes to do art, he likes playing basketball and wearing girls' clothes is just a small part of Mark." As one of many shows that addressed LGBT issues during its heyday, is it really a surprise that one of Roseanne's cast member's identifies as non-binary? Not at all. However, Darlene has already displayed how much she loves and accepts Mark, but we're excited to see if David's one-episode appearance will also explore his thoughts about Mark's gender identity. In Season 10 Episode 5, David finally makes his grand debut after being separated from his wife and kids for six years. After climbing up the Conner's two-story house and slipping through Darlene's window, he tells his estranged wife that he's finally moving back to their hometown of Lanford, Ill.
Darlene's excitement about David getting an apartment of his own to be closer to their children, Harris and Mark, turns into shock when he reveals that he's also having a fling with a woman named Blue. Yeah, how dare he. "I've learned so much from her. I realized I was in denial," he says (via USA Today). "I thought Harris and Mark were better off without me, and then I realized how unfair it is to you, not to give you a divorce, so you could have some closure." '80s classic rock band Cinderella said it best: "You don't know what you've got till it's gone," because as soon as David reveals that he's moved on, it charges up Darlene's emotions. She pounces on her childhood sweetheart and surprises him with a tender smooch. They end up spending the night together in her old bedroom after deciding to give their marriage another shot. When David asks her, "What am I gonna tell Blue?" Darlene responds, "Tell her she has a stupid name." Yas, queen. It's odd seeing David as the bad guy, especially since we've always known him as Darlene's rock — a sweet and loving person despite his turbulent upbringing. But time hasn't been kind to David, and one traumatic event apparently pushed him over the edge, according to Vulture. After popping back into their lives just in time for their daughter Harris' birthday, David tries to explain his absence to Darlene. He rattles off a bunch of excuses, such as his gig building houses for poor people in "third-world countries" that kept him away from his family. He then briefly touches on the subject of his deceased brother. Although he doesn't reveal how Mark passed away, he mentions that the grief was so overwhelming, it caused him to bail on his family obligations. At this point, David isn't looking like a good match for Darlene at all, but at least he's open to being present in his kids' lives, no? After re-consummating their marriage in Season 10 Episode 5, David is all gung-ho about showing up to his daughter's birthday party. Darlene suggests she speak to her parents first and clear the air about their reconciliation. David agrees and leaves, but he promises to return later that night for the birthday festivities. After chatting with her sister, Becky, and her mom, Roseanne — who surprisingly has kept in contact with David and even knows about Blue — Darlene decides to pump the brakes on the reconciliation, reported Vulture. When David returns to the house, complete with a gift in hand for Harris, Darlene gives him the bad news. "We're delusional if we think we can make each other happy," she tells him. "We're gonna fight, you're gonna run, and we're gonna break the kids' hearts." David pleads with her to give things another chance. "You're the first person I loved, and I still love you" he says. "I love you, too. And if was just us, I swear I would keep doing this over and over again, even if it never worked. But it's not just us," Darlene replies. And just like that, David and his scruffy beard are gone again. Will he keep his plans to move back to Lanford? Will Darlene change her mind? Future episodes will hopefully bring us some more clarity about these two and their strained relationship.